November 8, 2017 By Allyson 5 Comments This post may contain affiliate links. Read my disclosure policy. 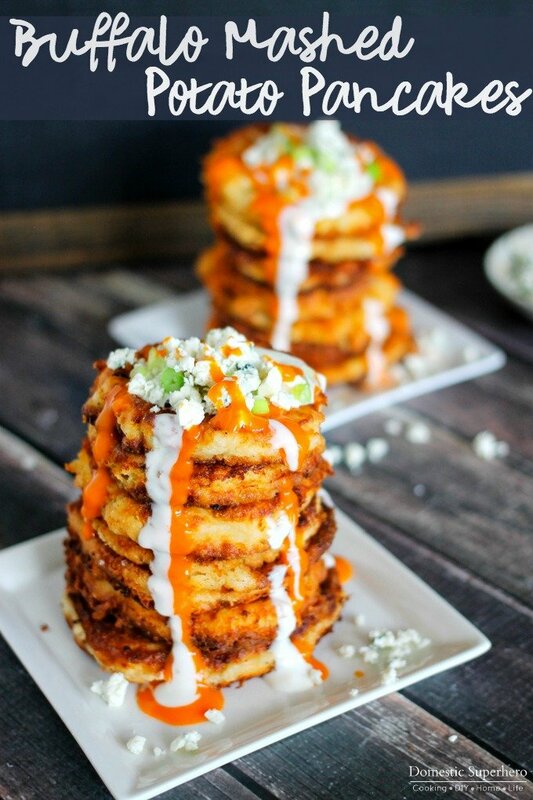 Waffle fries loaded with shredded buffalo chicken, bleu cheese, buffalo sauce, more cheese, and ranch make the most epic Buffalo Chicken Fries EVER! 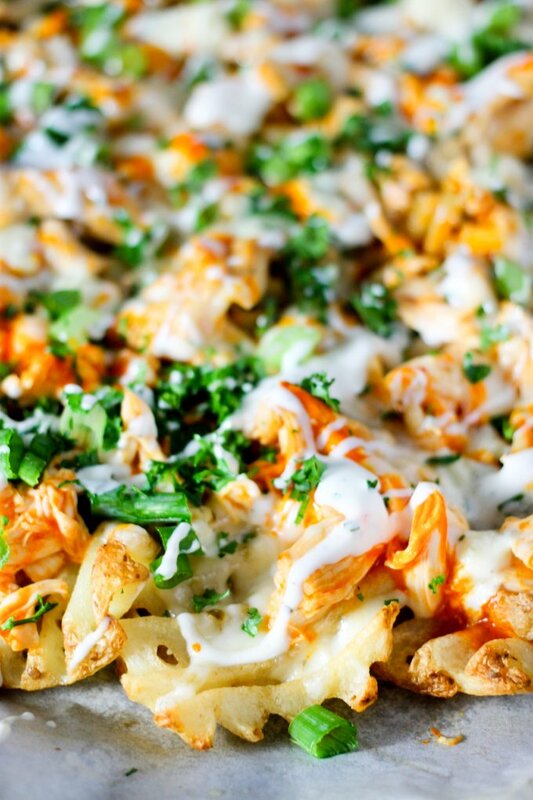 Buffalo chicken fries are pretty much what dreams are made of…food dream that is. These are the ULTIMATE appetizer, game day snack, tv show binge watching food, you name the occasion, these are PERFECT. 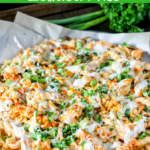 With only a handful of ingredients and being super easy to make, these buffalo chicken fries are going to be a regular go-to recipe from here on out. Did I mention the cheese, y’all? There are THREE cheeses on these buffalo chicken fries…THREE! We have some spicy pepper jack cheese, mozzarella cheese, and of course buffalo anything isn’t complete without bleu cheese. So yum. Then you cover these bad boys in buffalo wing sauce, ranch, green onions, and parsley and BOOM, they are complete! People go crazy over these buffalo chicken fries on game day, trust me. 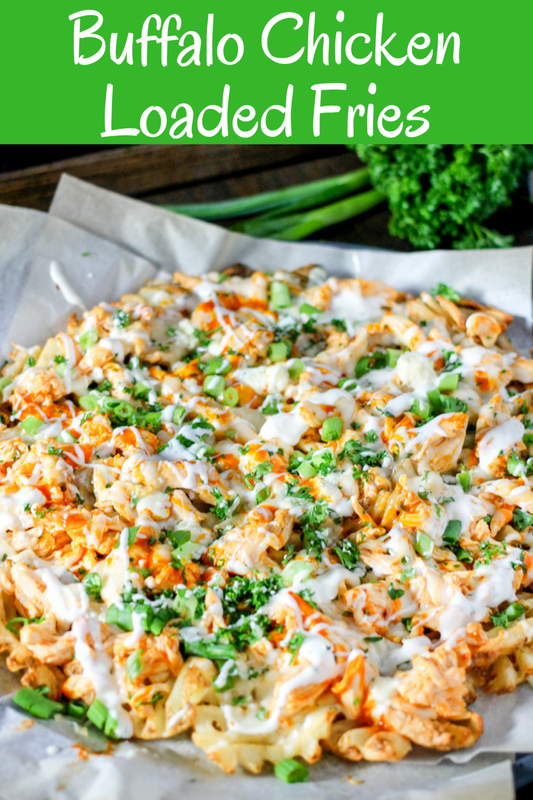 Another thing I love about these Buffalo Chicken Fries, is if you don’t want to bake the chicken, you can use Rotisserie chicken in place of the baked shredded chicken…that will save even more time! Preheat oven to 350 degrees. In a baking dish arrange chicken. 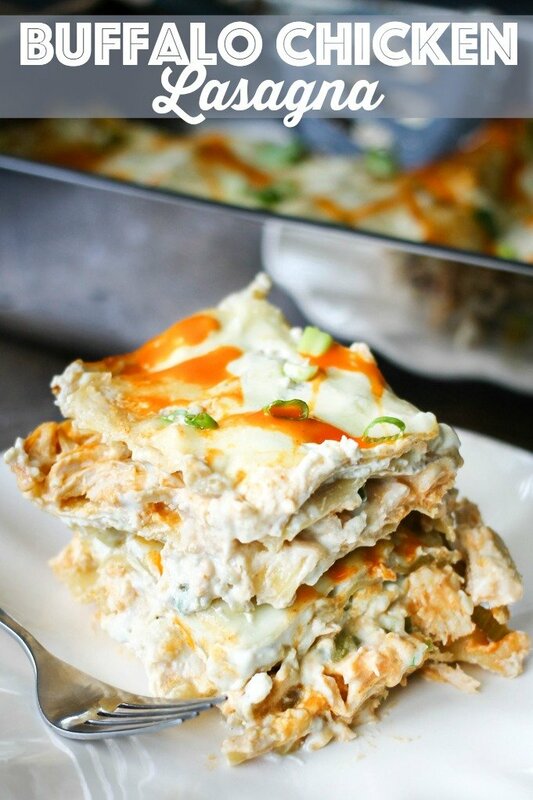 Pour 1/3 cup buffalo sauce over the top and spread over chicken. Place in oven and bake 20-25 minutes or until chicken is cooked through (this is a good time to cook the fries as well). Using 2 forks, shred the chicken and set aside. Using a large baking sheet either covered in parchment or sprayed with nonstick spray, arrange waffle fries in a single layer. Add mozzarella cheese, then chicken, pepper jack cheese, bleu cheese crumbles, and buffalo sauce. Bake for 5-10 minutes, or until cheese is melted. Remove from oven. Add ranch, green onions, and parsley. Serve immediately while hot! If you want, you can use rotisserie chicken in place of the baked chicken. Just shred the rotisserie chicken well and add buffalo sauce to coat. 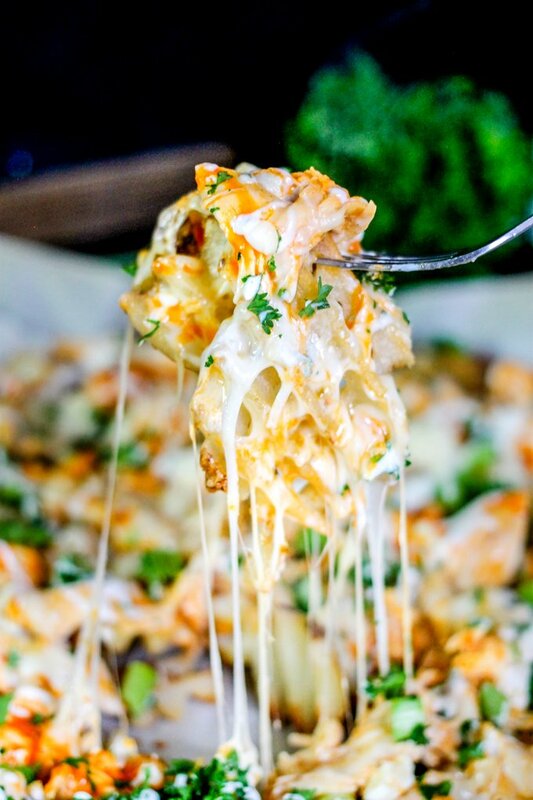 These Buffalo Chicken Fries will be the biggest hit, I promise! They are easy to make and so delicious! Like buffalo everything as much as I do?! 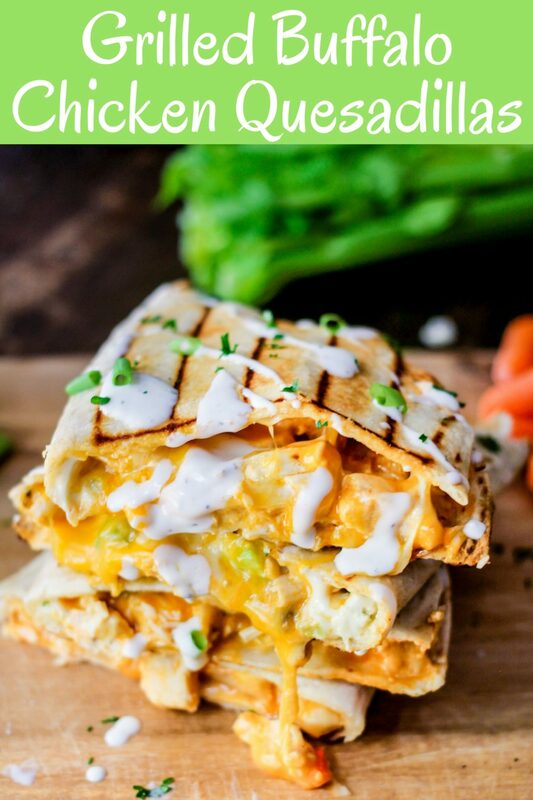 Checkout these other recipes from Domestic Superhero! Loaded fries are my all time favorite! I love the buffalo flavors in this!